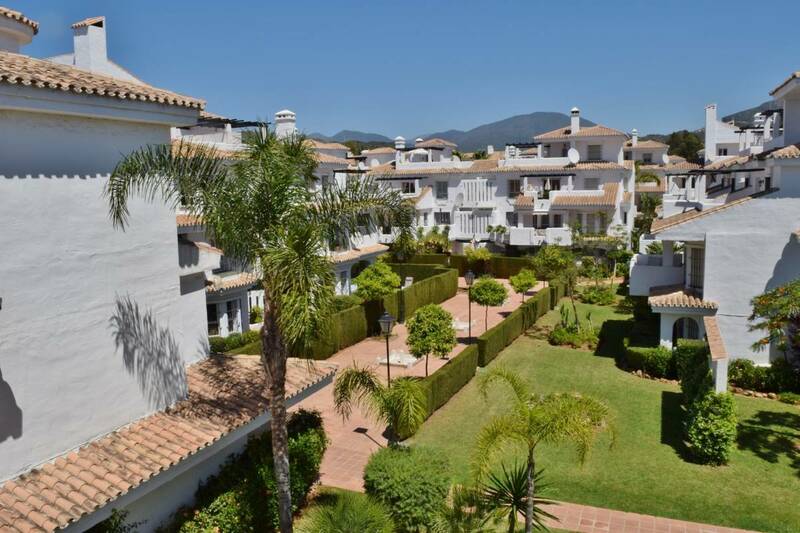 Los Naranjos de Marbella is a Mediterranean style building urbanisation in southern Europe (Spain), very close to the world famous Puerto Banús and all the most important Golf Courses of Europe in the heart of the South Europe tourism place. Our apartments are fully equipped to make your stay as comfortable as possible and that you have the feeling of being at home away from home, enjoying the beautiful gardens and the tranquillity of the area. With our Reception service and on-call mobile number, you can rest assure that there will always be someone here to help you during you stay. The urbanisation was built in 7 phases, it complies apartments of 1, 2 and 3 bedrooms, and each phase has around 80 apartments and one swimming pool. Also as part of the complex, a group of townhouses of 2, 3 and 4 bedrooms, all with communal pools as well. 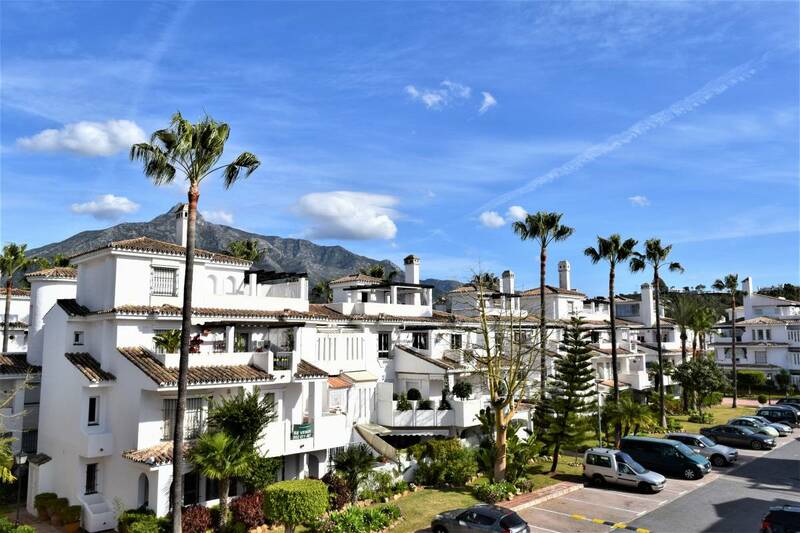 Super market, Tennis-Paddel Restaurant, bars and cafeterias are within the complex area and a public bus service runs to and from Marbella and San Pedro. Nuestros apartamentos se encuentran equipados para que usted disfrute de una estancia agradable y que se sienta como si estuviese en su propia casa, disfrutando de sus hermosas y amplias zonas ajardinadas con el mejor esmero, sus establecimientos de ocio y restauración o su club de pádel. Además, con nuestro servicio de Recepción y teléfono de guardia, tendrá la seguridad de estar siempre en contacto con nosotros para resolver cualquier duda o problema que pueda tener durante su estancia. La urbanización cuenta con piscinas, distribuidas en todo el complejo, un supermercado Mercadona, un restaurante Club de pádel, restaurantes y cafeterías. Asimismo, un servicio de autobús a Marbella y San Pedro. A tan sólo 1. 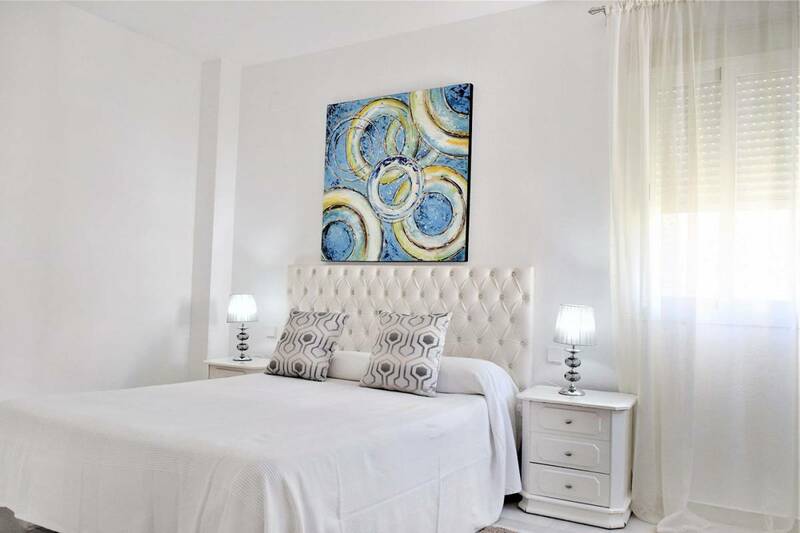 2 km se encuentra Puerto Banús, donde puede encontrar todo lo que espera de unas vacaciones fantásticas. Puede ir andando si le apetece darse un paseo ya que el camino es plano y a través de un amplio bulevar. 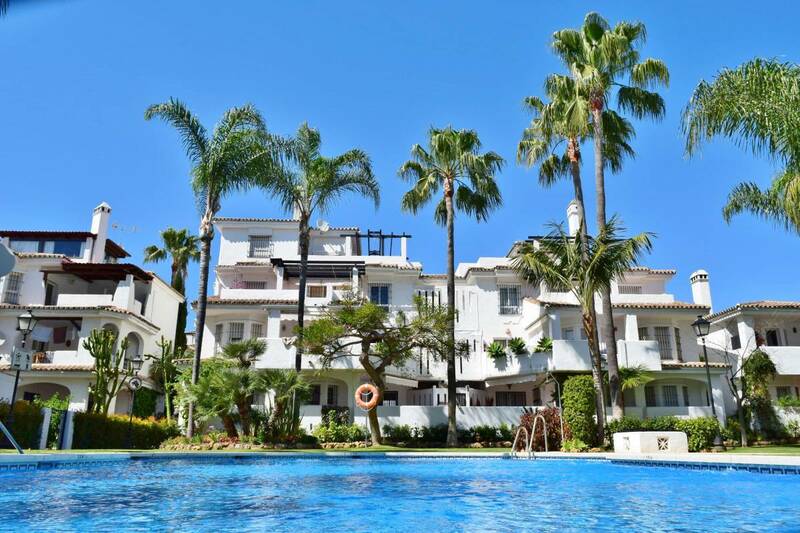 Less than 2km from Puerto Banús in the heart of Nueva Andalucia, there is the “Los Naranjos de Marbella Serinamar Apartamentos” development. 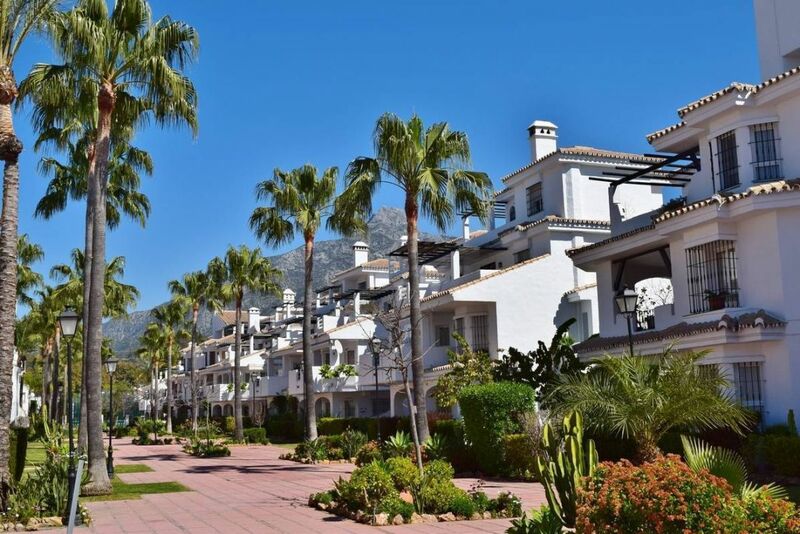 A complex of 7 apartment phases and 8 blocks of terraced townhouses, in total some 900 houses all in a beautiful environment of tranquillity and nature. At the beginning of the 90’s the project has begun construction, starting with phase 1 and since then it has not stopped growing until it reached what it is today – a great and beautiful set of houses for a quiet and pleasant stay. 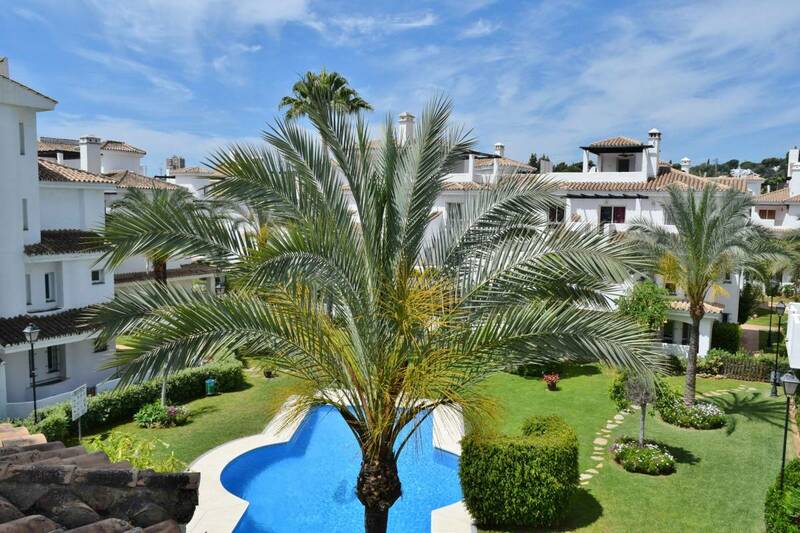 We are located in the municipality of Nueva Andalucía, a spectacular tourist town in full expansion, belonging to the city of Marbella and about 6km from it. With residential areas of the highest standard, the most expensive in Europe, in tune with a hospitable population that offers a range of services and amenities that can satisfy the most demanding of guests. Golf courses, hotels of the highest category, activities of pure Mediterranean nature and an important and extensive variety of gastronomy and leisure on offer, all unique to this area. The client has to pay in advance the total price of the reservation and have no right to a refund regardless of when it was cancelled. (* Please note that there will be refund bank charges). When leaving the airport, take the route ALGECIRAS-CADIZ A-7. Keep going following the indications for ALGECIRAS-CADIZ A-7 for about 40 mins and then after exit 181B NAGÜELES, keep right following San Pedro Alcántara and take the tunnel. Keep right and after the tunnel TAKE EXIT 176. In the roundabout take the third exit, go through the bridge and immediately left. In the small round about turn right, you will find the paddle tennis club in the corner and a townhouse number 50, follow the numbers down until 27, where you will find our offices right opposite.